Teradata (NYSE: TDC), the industry’s only Pervasive Data Intelligence company, today announced it has been recognized with the highest scores in all four use cases in Gartner’s recently published report, Critical Capabilities for Data Management Solutions for Analytics, issued March 18, 2019 by analysts Rick Greenwald and Adam M. Ronthal. 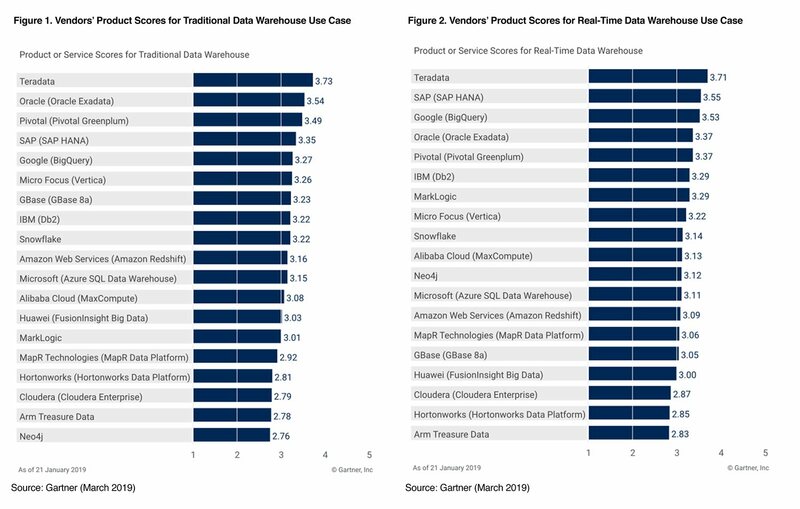 Among 19 vendors evaluated, Teradata was ranked highest in all data warehouse use cases — Traditional, Real-time, Logical and Context-Independent. This year’s report marks the sixth time that Teradata has been included in the report. Data types and volumes are expanding exponentially, creating cost and complexity challenges that are uniquely difficult for the companies that use data the most. To address this growing issue, Teradata recently unveiled Teradata Vantage, its pervasive data intelligence platform that leverages 100 percent of the data to uncover real-time intelligence at scale. For companies requiring tightly integrated solutions that can accommodate massive scale and speed, and be deployed across secure, hybrid-cloud architectures, Vantage serves as the connective tissue - consolidating data, analytics, functional and tool silos into a single platform. Adding unprecedented choice, agility and flexibility to the decision to use Teradata Vantage, the platform can be deployed across public clouds, on-premises, optimized or legacy infrastructure, or as-a-service. To learn more visit: https://www.teradata.com/Resources/Analyst-Reports/2019-Gartner-Critical-Capabilities-for-Data-Manage, or see Vantage in action at several upcoming events including Teradata Universe Madrid from April 7-10, 2019 or a Data Science Experience event at a city near you. 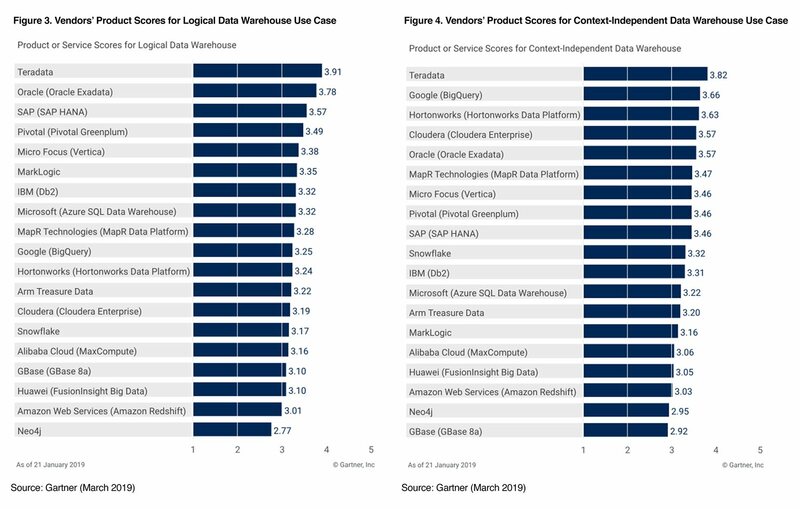 Gartner, “Critical Capabilities for Data Management Solutions for Analytics” by Rick Greenwald and Adam M. Ronthal, March 18, 2019.